Thank you for your interest in one of Preferred Auto Illinois Road's online offerings. 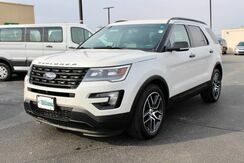 Please continue for more information regarding this 2016 Ford Explorer Sport. 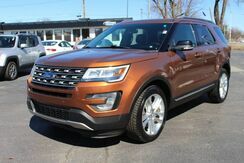 This Ford Explorer Sport defines excellence in an SUV. It has the convenience of limitless boundaries paired with city sophistication. You appreciate the finer things in life, the vehicle you drive should not be the exception. 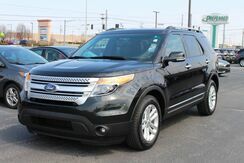 Style, performance, sophistication is in a class of its own with this stunning Ford Explorer. 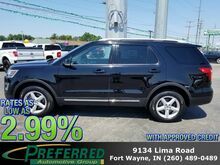 Preferred Auto Fort Wayne State has a wide selection of exceptional pre-owned vehicles to choose from, including this 2017 Ford Explorer. In their original incarnation, SUVs were chiefly owned by folks who valued "utility" above "sport." Not anymore! The Ford Explorer XLT redefines the SUV and makes the perfect "all around" family companion. Take home this Ford Explorer XLT, and you will have the power of 4WD. It's a great feature when you need to drive over tricky terrain or through inclement weather. Strengths of this model include EcoBoost engine provides good mileage, good value, quiet interior, world-class safety features, and excellent ride quality. 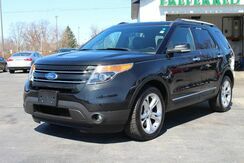 This SUV is a great example of beauty and brawn with classic styling and a workhorse power plant. Is it possible to fall in love with a vehicle? It is when your vehicle is as prestige as the Ford Explorer. Easily switch between two and four wheel drive to take advantage of the improved steering and superior acceleration. This model sets itself apart with quiet interior, good value, excellent ride quality, world-class safety features, and EcoBoost engine provides good mileage.